Styled with lotus blouse . Subtlety is overrated. 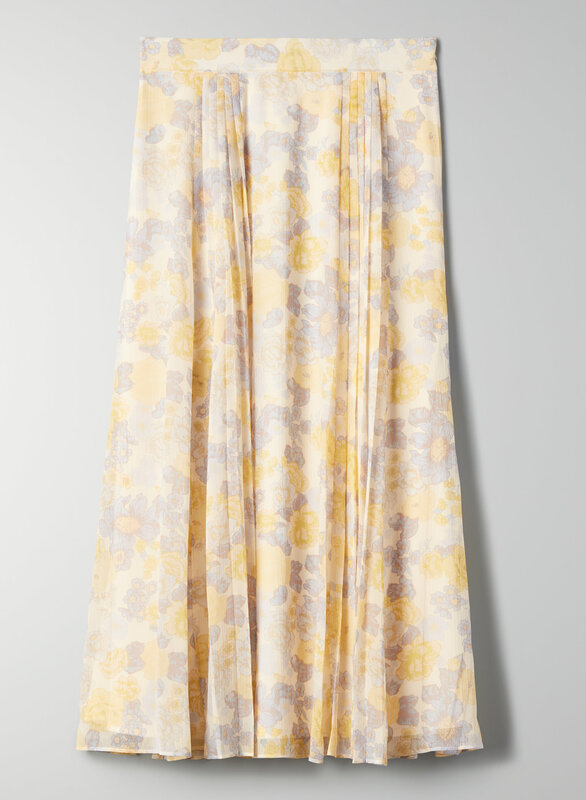 This is a high-rise midi skirt with permanent sunburst pleats that keep their shape. It's made with Yoryu, a classic drapey fabric for the making of kimonos. This version of the Peony comes in a hand-drawn floral print that’s exclusive to the brand.